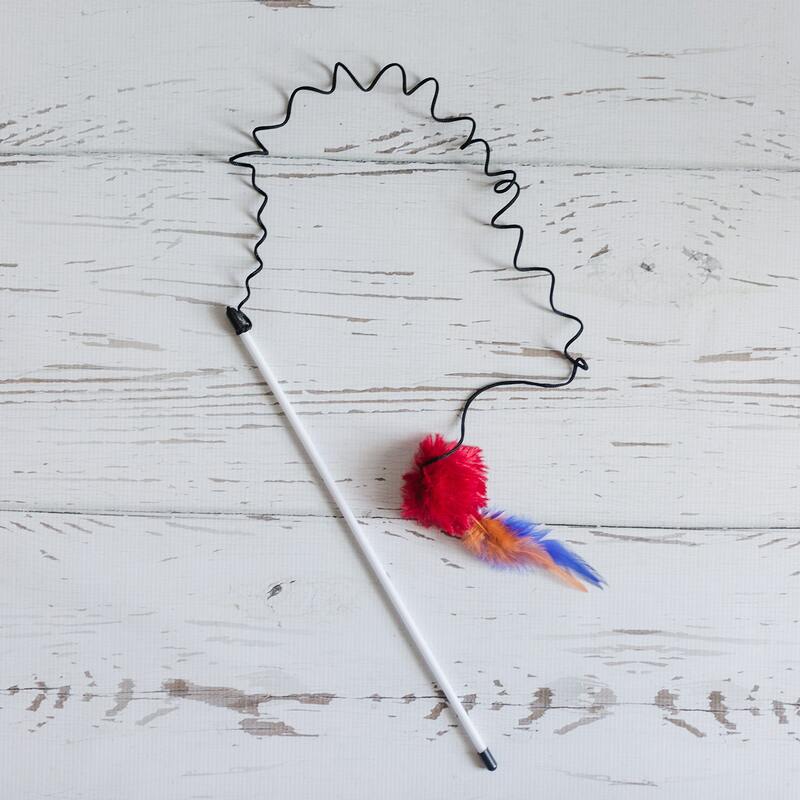 Your cats will love to chase and jump after this pretty heart wand cat toy! 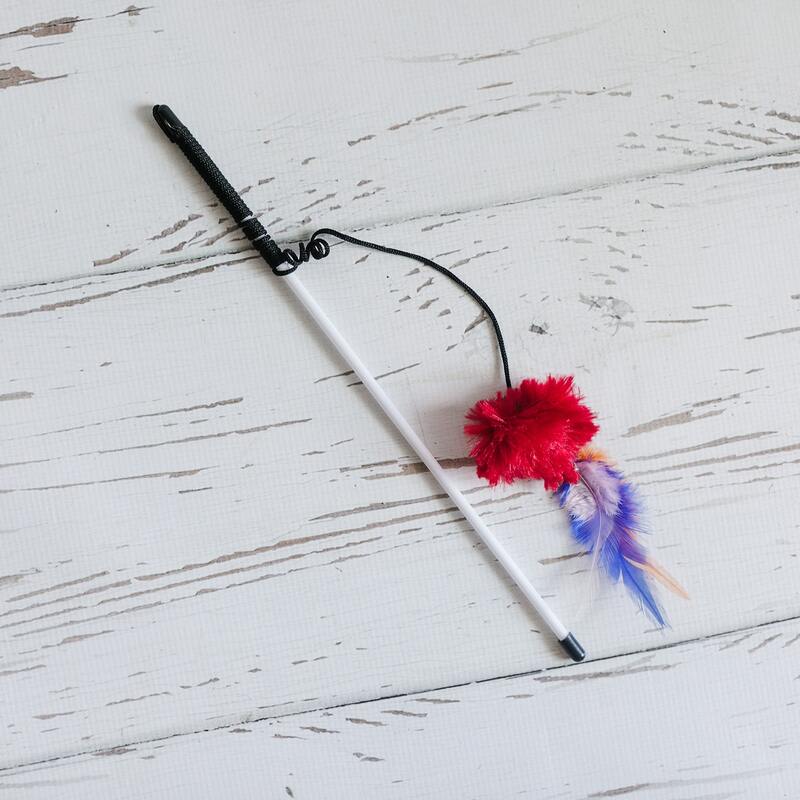 And the feathers make it even more fun! 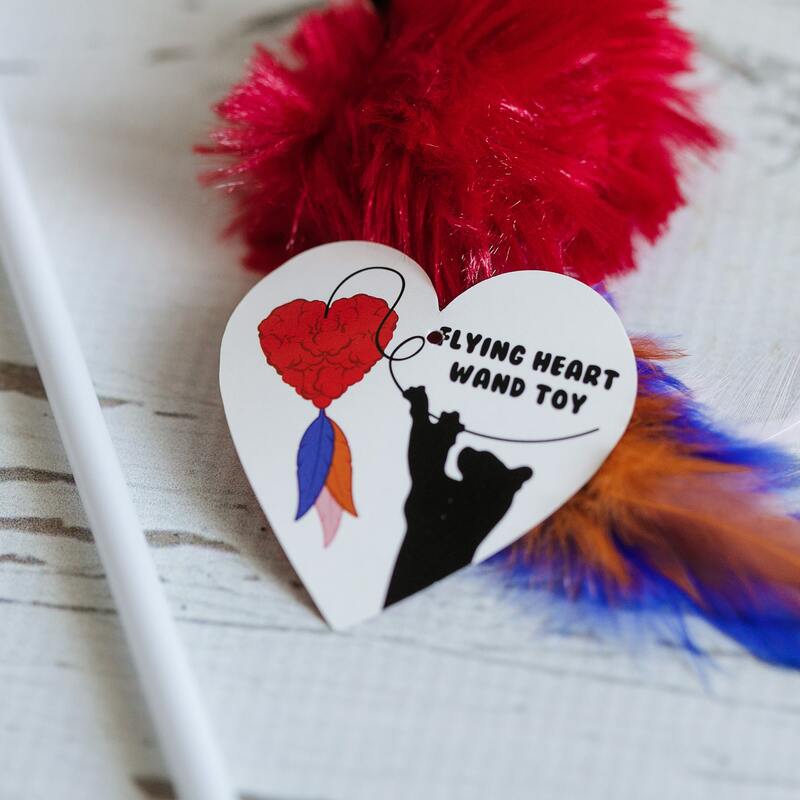 Puffy and fluffy heart measures approximately 2 inches, plus a "tail" of feathers! Lightweight and purrfect for tossing and bouncing. Cats love to jump and pounce for it! Generous string length for high-flying, high-energy interactive play! Made exclusively for CatLadyBox and originally featured in our “Meowlentine’s Day”-themed box.